I've recently signed on with a new publisher, Prairie Rose Publications. 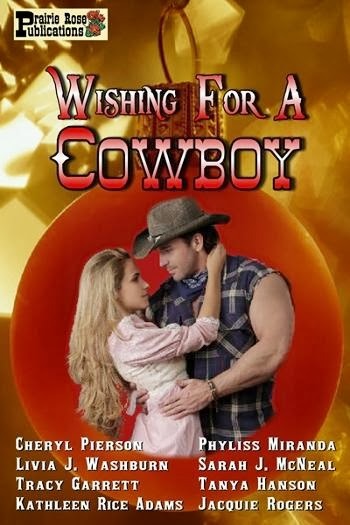 They are strickly western and they are opening their doors with a Christmas anthology titled Wishing on a Cowboy in which I am priviledged to have a story along the theme line titled, A Husband For Christmas. PRP will also be opening a YA imprint titled Painted Pony. I am very excited to be a part of this opening publication from Prairie Rose. Each author in Wishing For A Cowboy will include a recipe mentioned in their story. My contribution is Gingerbread Boys cookies. Just bakiing them makes my house smell like Christmas. A night of horror and a wish for a new life. Jane Pierpont and her son, Robin, survived the Titanic, but her husband went down with the ship and the emotional scars of that night have kept her and her son locked into that frightening event. Robin is terrified of deep water and Jane has nightmares and survivor’s guilt. She yearns for a family, a loving husband and maybe another child, but she feels disloyal to Michael’s memory whenever Teekonka RedSky comes near her. 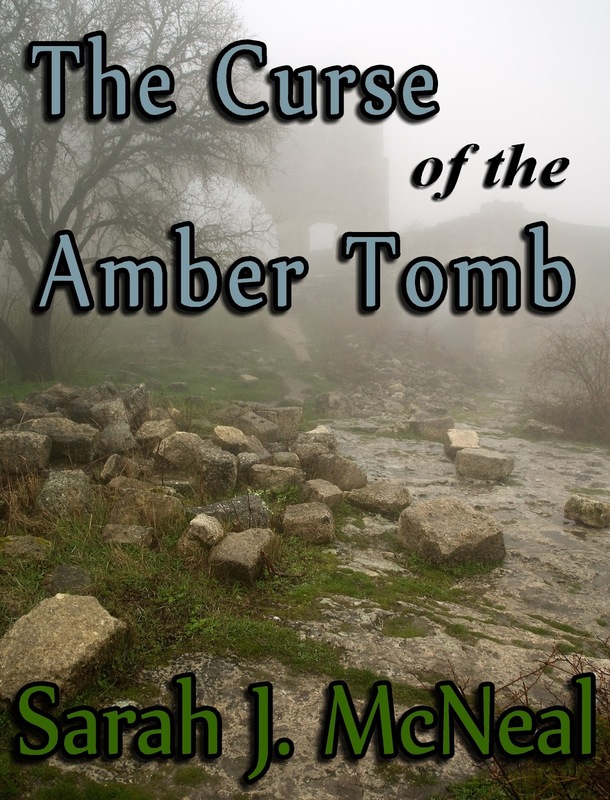 In time for Halloween, THE CURSE OF THE AMBER TOMB, will soon be released as a single for 99 cents. An archeologist and photographer discover a deadly secret. 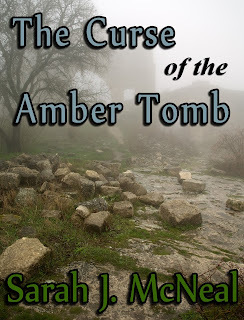 Edward, a handsome photographer afraid of heights and, Kate, a lady archeologist afraid to love must face their fears when they discover a deadly secret in an ancient tomb. I also have ghosts and creatures and brave people on deadly quests. New for only 99 cents are HARMONICA JOE'S RELUCTANT BRIDE, a time travel novel with a creepy ghost, and the beginning of the Wildings of Wyoming series and, of course, there's DARK ISLE chocked full of monsters and demons and the first book in the Legends of Winatuke trilogy for a meager 99 cents. There's plenty of scary things going on, so light the bond fires to keep out the wandering dead souls, grab a cup of nog to fortify your courage and read the books I have written just perfect for Halloween. The Legends of Winatuke is my new paranormal trilogy. All three books are full length novels. 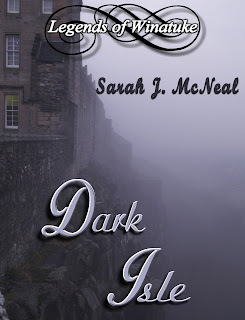 You can begin the trilogy with DARK ISLE for only 99cents in ebook at all online bookstores. The legend begins when love and evil collide. 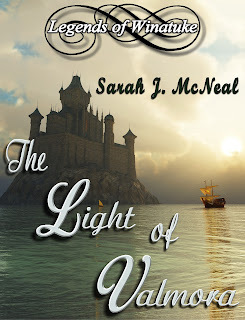 The queen of the Dark Isle has taken the Nimway prince, Gabriel, with the magical voice, prisoner and is determined to send him home in pieces. Her daughter, Jade, has only a little time to save him, but even if she does, will he want someone born of evil? Once told of his brother's captivity, Raphael must go to the modern world to ask for help to rescue his brother. But his true love, a human, has accidentally crossed over into Winatuke. The chances of her survival are slim to none. Can he save them both? Digital Format only 99 cents!! Hawk is a troubled man with a secret seeking redemption. Emma is a burned out doctor weighed down by emotional baggage. 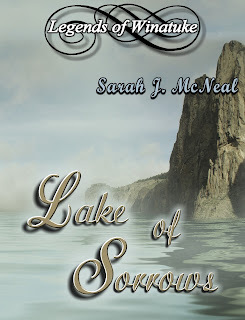 Can they forget the past long enough to save Hawk's brother from dying under the curse of the Lake of Sorrows? Or will the secrets hidden the Lake of Sorrows swallow them all under its evil curse and destroy any chance for hope and love? To free his father from the witch-queen of the Dark Isle, Falcon must find the legendary Light of Valmora that lies hidden in the darkest place on earth--right under the witch's feet. To complicate things further, he is falling in love with Izabelle, the Gypsy woman who loves his brother, Peregrine. 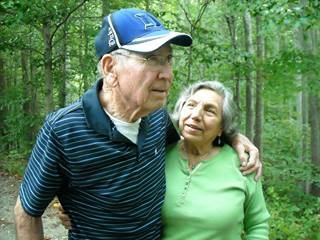 My dear friend, Kathy Groce, lost her dad, Richard, yesterday. He had been sick for some time, but his passing into the next life was peaceful. The last time I saw him before he became so ill, he and his wife Lucille went with Kathy and me to Morrow Mountian. They were such a cute couple even after all these years of marriage. Lucille sat on his lap and they snuggled like teenagers. Richard was such a good man, a loving husband and father. He will be truly missed. My thoughts and prayers go with the family.